Albert King was one of most popular American Blue Guitarist and Singer. He is truly known as the name of the “King of the Blues” in all over America. Albert King Had an Influence on the world major gutters and rock stars included Arica Caption, Jami Hendrix, Michael Bloomfield and Stevie Ray Vaughan. Being a King of Blues King made tremendous World records in the soul of music signing with Sax records and made different classic songs like “Born under a Bad Sign” and “Crosscut Saw”. Albert king provided a base of modern guitar music. It was also the specialty in the Albert King is that, he never falls into B.B like all other guitarists during the game. Albert King was born on 25th April, 1923 in a, small town Indiana, Mississippi, America. He was usually famous sin his friend with the name of “The Velvet Bulldozer”. He was the son of King Nelson. 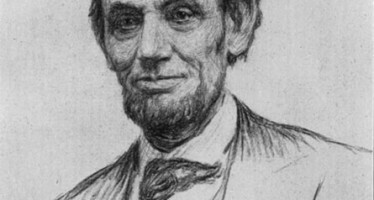 His father was a cotton plantation by profession in Indiana. In his childhood his father played a guitar in o local Church early in the morning and King sang at family Gossip with his father. King first Inspired by his father and T-Bone Walker. Later on king set a mind to come into the Music’s World. King bought his first guitar in $1.25. In the Late 1940 king joined as a professional musician when he started to work with a famous music group Called “In the Groove Boys “in Osceola, Arkansas. Sooner he moved in the North America and played drums with “Jimmy Reed”. At the end of the Forties King Moved in Gary, Indiana while in 1953 he moved to Chicago as a guitarist and musician. In Chicago, Albert King recorded his first two hits songs ‘Lonesome in My Bedroom” and “Bad Luck Blues”. King played a guitar as a left-handed, hold it upside down and tuning it as a right handed player. During the seventies, King performed live with St.Louis Symphony Orchestra and Record his album “Lovejoy” with a group of white singers and an Elvis Pressley. King also worked with the different master of the music and earned a good name in the world of music and guitar. Albert King received a notable praise from many young blues guitarist with Stevie Ray Vaughan. Both king and Vaughan get together during a television show in Canada and recorded a CD in 1993. After covering long distance of his achievements in the world of Music “Albert King “died on 21th December, 1992. Albert King was inducted into the “Rock and Roll Hall of Fame” in May, 2013. The overview provodes the new aspiration for the modern guitarist and musician. you can add more suggestions through your comments. 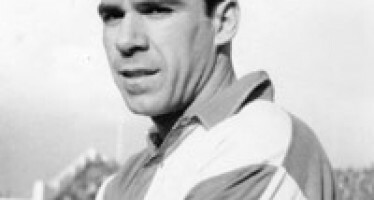 Telmo Zarra, the great football Player in Spainish History. 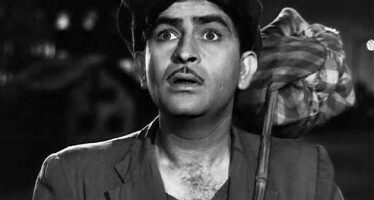 The Great Raj Kapoor The great Indian cinema actor of twentieth century Raj Kapoor was born in 14 December 1942. Share Our Best and Precise Articles on Social Portals!